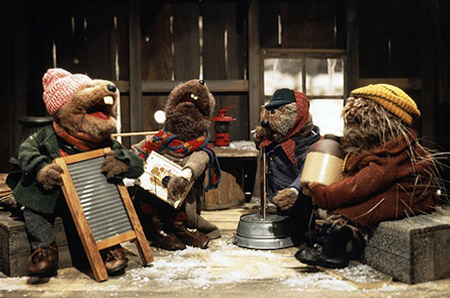 Last years’ Emmet Otter Jug-Band Christmas article was, by far, the most difficult one for me to write. Although the truncated piece finally debuted on December 15th, it was actually the first special I’d watched in preparation to write up weeks before hand. 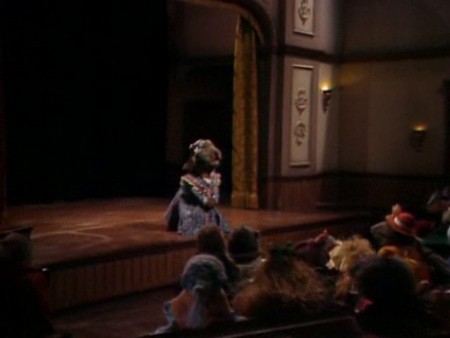 I fell so batshit in love with the Jim Henson classic, forming coherent thoughts about singing puppets became my own personal Amadeus. Obviously, part of that struggle came from the ridiculously amazing songs by Paul Williams. 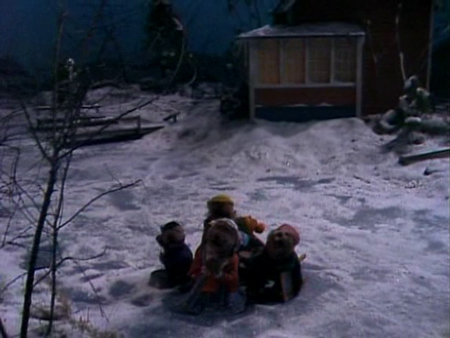 Even those with the vaguest familiarity with Christmas Special tend to remember at least a lyric or two, right? Remember that hole-less Washtub? Now, I’m no music critic… and sure, I almost definitely lack the vocabulary to do the songs justice in prose. But most importantly, I also find most writings of that nature tedious and boring, with too much of the author’s personal baggage projected onto a medium most people enjoy on a indescribable, subjective level. Instead, I really wanted to let you guys HEAR the music of Emmet Otter, for no better reason than they’re unforgettably awesome. Unfortunately, they don’t seem to exist ANYWHERE! Through all my research, I found no evidence of any official soundtrack ever, let alone MP3s available for purchase. Plus, YouTube/Henson/Lionsgate/Whomever holds the current rights continuously blocked my attempts to share them with you, which led to further delays. I don’t maintain any ownership over these tracks, and post them in lieu of NO OTHER OPTION. Should there ever be an official soundtrack release, I’ll remove these tracks post haste. And if any of Emmet Otter’s owners/rights holders take issue, let’s try and avoid the lawyers and Internet Police and just please contact me here and I’ll remove do so immediately. Incidentally, that header image at the top is from the original VHS release of Emmet Otter’s Jug-Band Christmas (With Kermit! You can see it in the article.) But I’ve also taken the liberty of adding that as the album art for all of the MP3s on this page. Thought it be a nice treat to see on your iPods and such… you don’t have to thank me. Four Muppet factions featured together in a single product… remind anyone else of A Muppet Family Christmas? 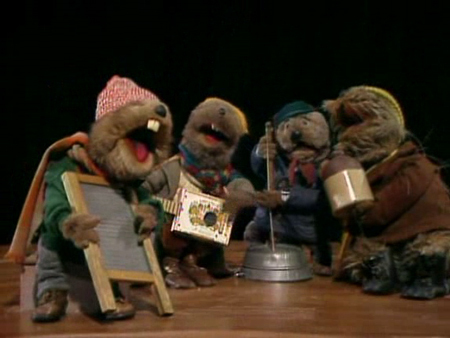 Emmet Otter’s Jug Band Christmas is available on DVD, albeit with the Kermit footage completely removed. 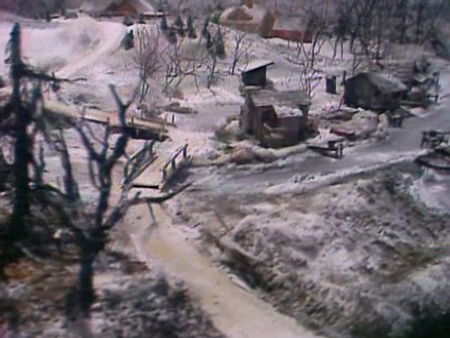 However, the special contains several short sequences that haven’t appeared on other home video releases, and any scene missing is available to watch in the ample bonus features which include a behind-the-scenes documentary and the Outakes video embedded above. Assuming you’re willing to take a chance on Otter, I strongly encourage – no… I beg you, to pick up the version bundled with Jim Henson’s equally stellar Holiday special, The Christmas Toy for just a few pennies more. Oh, and before you go and call Disney mean names for not allowing Kermit to appear in Emmet Otter, I invite you to see what the previous, out-of-print versions featuring the famous Frog are going for on the Amazon Marketplace. You’ll get an idea of what he’s worth. Thank you, thank you so much. I’ve been looking for this music for a while./ I’m surprised to learn there wasn’t even a record of the music made. This has been part of my christmas tradition since I can remember, so it’ll be nice to add this to my christmas playlist! Thank you so very very much for doing this. I have looked for years for the music to Emmett Otter. I still have the VHS movie from years ago when my son was little. He is 27 years old now. I just listened to these songs and cried. Paul Williams has had some of the most beautiful songs ever. When the River Meets the Sea and Our World are my favorites. I get a lot from music especially the words. Thank you again and I hope you have a very Merry Christmas! Thanks for the Beautiful Nostalgia.. 30 years just flashed by in my head from when I was 10 years old and watched this first.. Life was so easy and fun then ..
Also the Riverbottom Nightmare band Rocked!! Hey, thank you for posting this. I love Emmet Otter, love the music, and I’m just glad to see I’m not the only one. Hell, “When the River Meets the Sea” better play at my funeral, or I’ll find a way to circumvent the laws of physics and haunt my descendents. Thank you for this. Thank you for 1. Introducing me to this special and 2. making the music readily available. Really great work. 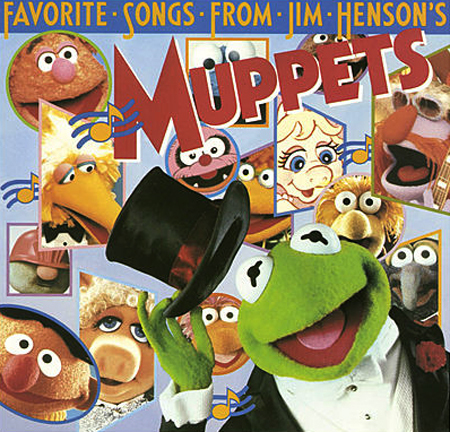 The full version, with Kermit, can be seen occasionally on HBO. I still have my original VHS recording from HBO when I was 6 years old and still watch it 30 years later, every Christmas! Great job posting the music! My children grew up with my singing “When the River Meets the Sea” to them at bedtime, and now my grandchildren are getting it too. If my vhs ever bites the dust, I too will have to resort to the Kermit-less dvd. I have been looking for this music for years too. The best song is Emmits version of BBQ. Then the Riverbottom Nightmare Gang’s final song. They deserved to win. 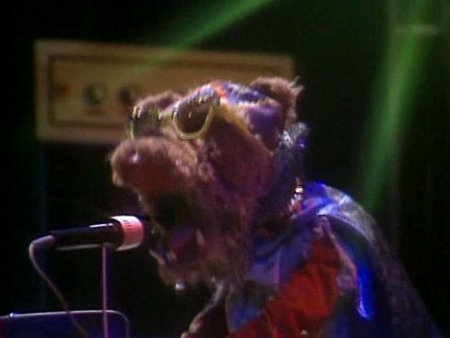 There is a song that came out in the last year or two on a muppets soundtrack…it was a cover song from Emmit Otter. I don’t remember which one, but it wasn’t one of my favorites. Hardly my favorite Emmet Otter jam, but it was nice to see someone still remembers it. Great album BTW! I can still remember this first time I saw this on HBO. Thank you so much for making the music available for all of us searching for it. You’re a godsend! Thank you so much for making this available to us Emmet Junkies! Can’t wait to sing along with my ipod instead of the tv! Thank you so much for these. This has been my favorite Christmas special since, well, forever. Can you please look into fixing the link for BBQ? When I try to play it I only hear the bathing suit song again. Too bad, because that’s my favorite song. 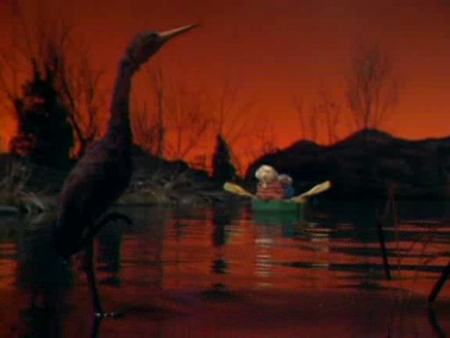 So sad that both John Denver and Jim Henson left us much too soon. Bless them for their goodness and for what they shared with us. Merry Christmas everyone. I cannot begin to thank you for this. 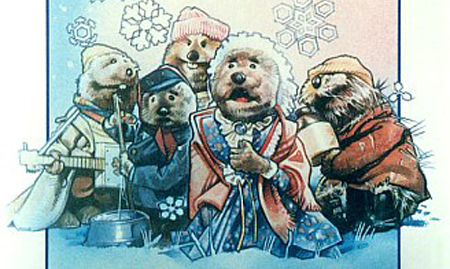 Emmet Otter is my favorite Christmas special of all-time and I have always wanted this soundtrack! Merry Christmas! 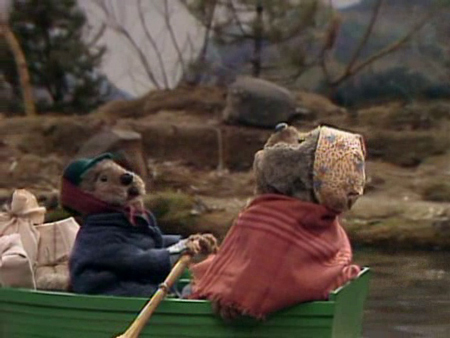 Thank you for this music, love Emmet Otter. Thank you so much for doing this. My girls and I love this music! 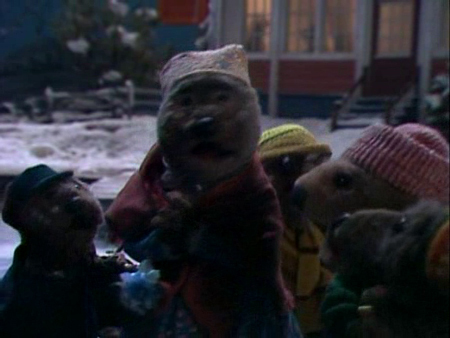 Its a shame Emmet Otter never got its deserved ‘top billing’ of the Best Christmas Special ever! Maybe because it was ‘born’ on HBO and not network TV. I fell in love in its first HBO appearance, and now a 47 old man, I cry like a little girl everytime I watch it. It couldn’t be any better and I recommend it to anyone I end up in a Christmas related conversation. Emmet Otter show that i watched as a kid was first aired in 1978, December 17th 1978. 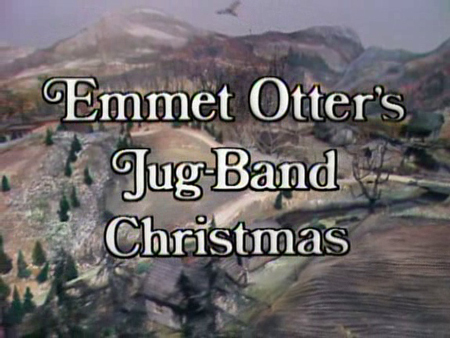 OH and Emmet Otters Jugband Christmas was an HBO special!!!! Thank you. I have been singing wash tub to my little girl and now I can listen to the songs and relearn all of the lyrics.